Modern plant biotechnology began with the transfer of foreign chimeric genes into plants. Initially recombinant genes were derived from bacteria, animals and plants for gene transfer. Gene transfer was accomplished by Agrobacterium-mediated or biolistic methods into the plant genome. The first wave of transgenic plants that were monitored for transgene integration and expression, the second wave transgenic plants carried economically important genes for herbicide tolerance, pest resistance, drought and salt tolerance, growth traits, and flowering control. Subsequently, a number of genetically modified crops with several useful traits have been commercialized. Although relatively stable transgene expression has been observed in a number of plant species, there were also unintended unstable events in transgenic plants. This is due to the fact that transgene integration achieved by the two traditional methods (Agrobacterium or biolistic) of gene transfer in the plant genome is random, and one to several copies of the transgenes may be integrated at one or several locations in the genome. In order to overcome the problem of randomness of transgene integration, site-specific transgene integration strategies have been experimentally tested in plants, and offer prospects of stable gene integration and expression in transgenic plants. In order to broaden the scope of transgenic plants, biotechnologists started looking for other useful avenues for their utility. With finite reserves of fossil fuels and climate change, and growing demands for fuels, plastics, and pharmaceuticals, transgenic plants have been also explored as production platforms for these commodities. 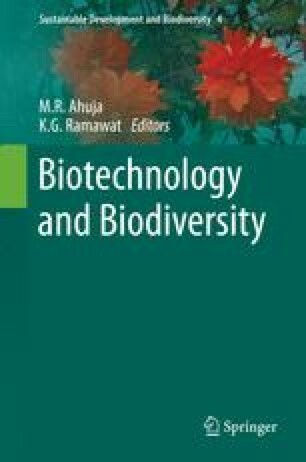 This paper is an overview of next generation transgenic plants that can serve as bioreactors or biofactories for the cost-effective production of biofuels, biopharmaceuticals, bioplastics, and as a resource for nutritional supplements to meet human demands in the future. New developments in nanobiotechnology offer prospects for improved production of crop plants.